Aquaman Armor Made from Worbla « Adafruit Industries – Makers, hackers, artists, designers and engineers! 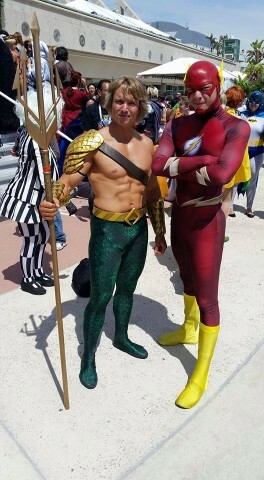 Cosplayer Beninator wore an incredible Aquaman costume to San Diego Comic-Con this year, and it featured gauntlets and a shoulder pauldron made from Worbla. 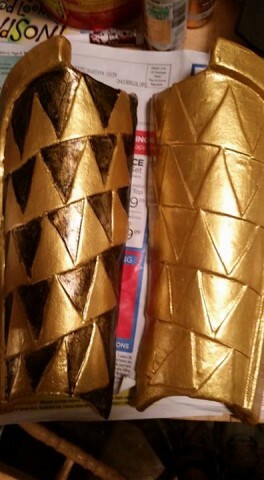 Photos below show how the armor pieces progressed. 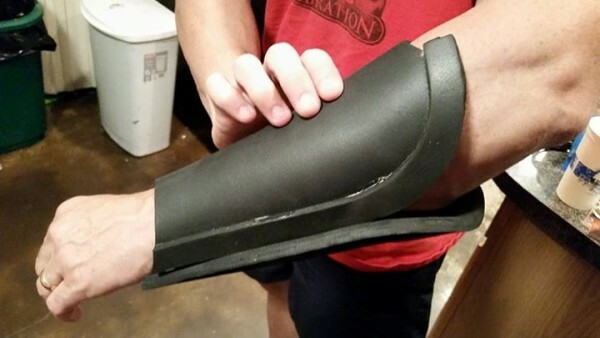 They started as black foam. 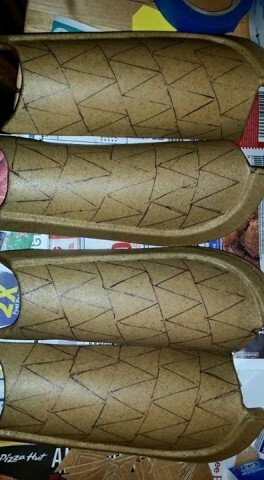 Once they were formed into the right shapes and curves, Beninator covered the foam with Worbla and stenciled on a scale pattern. The individual scales were added with Worbla, and after sealing the Worbla, Beninator painted around the scales to accentuate the details.